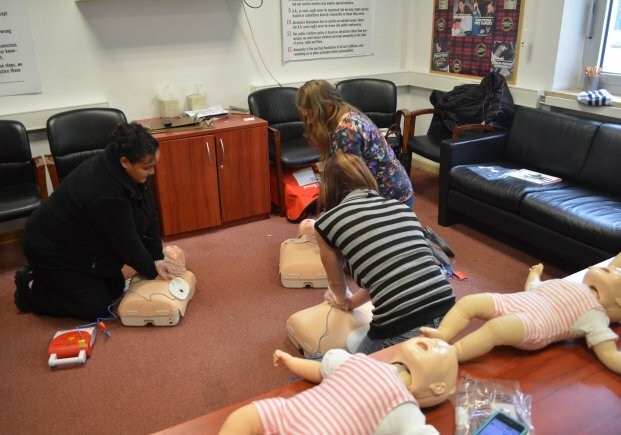 Traditional Classroom CPR classes range in length of time from 3 hours to 6 hours of classroom time depending on the course you sign up for. 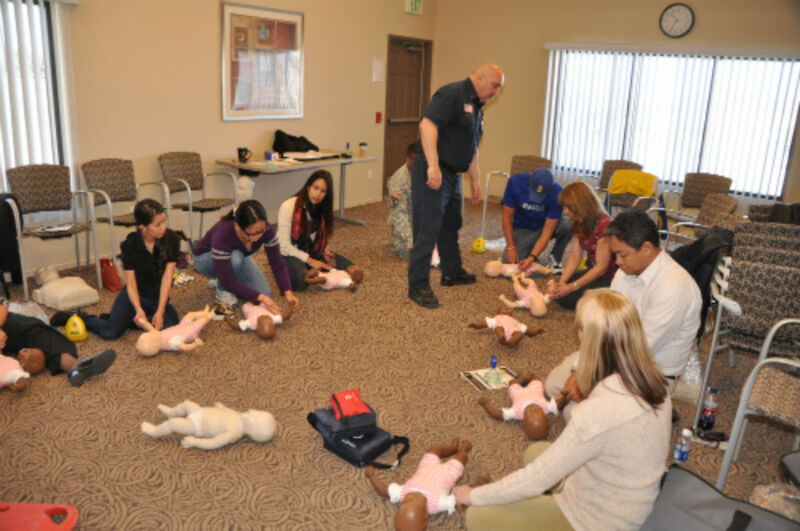 The Adult and Pediatric First Aid/CPR/AED course incorporates the latest science and teaches students to recognize and care for a variety of first aid emergencies such as burns, cuts, scrapes, sudden illnesses, head, neck, back injuries, heat and cold emergencies and how to respond to breathing and cardiac emergencies to help victims of any age – adults (about 12 years and older) and pediatric (infants and children up to 12 years of age). Students who successfully complete this course will receive a certificate for Adult and Pediatric First Aid/CPR/AED valid for two years. Blended Learning CPR Courses are for those that have limited time to complete a CPR course. The blended learning course will require the participant to complete an online portion and an in-person skill session held in a classroom. Participants are required to complete the online portion of the course prior to coming to the in-person skills session. Participants must bring the completed certificate to the course showing that the blended learning portion has been completed or they will have to go to a traditional classroom course given on a different day. No refunds will be given, only a reschedule.